Montana Rail Link in February, 1997. We worked our way from Huntley over Bozeman Hill, Winston Hill and Mullan Pass, along the Clark Fork with its semaphores to the famous causeway near Sand Point. We had lots of snow, blowing around in the sunshine on Bozeman, sunshine and heavy snow on Mullan, and got out to the old Milwaukee Trestle at Lombard (what a drive on snow covered dirt roads that was). 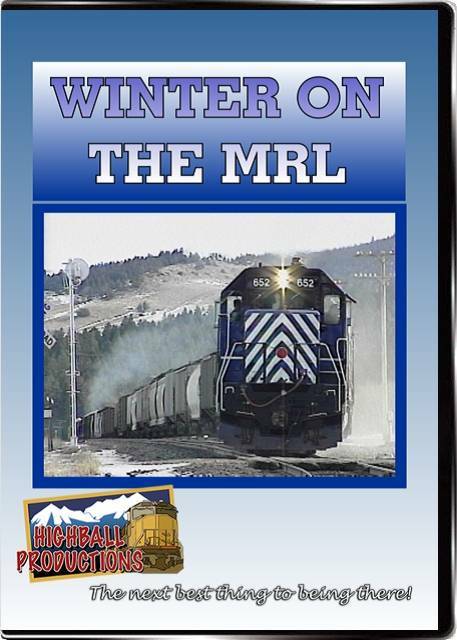 We caught just about all the power MRL has to offer including F45's, GP9's and a caboose, BN power including the new C44's in Heritage paint, and even an 11 unit lashup in heavy snow. Awesome railroad with older power in the depths of winter. Charley Mann (Little Mountain, SC) on 2016-02-21 19:28:36. Excellent program on the MRL, back when F45 Cowl's were in operation. Great scenery and camera angles plus great shots of SD35's, SD45's and even ex. WSOR F45's before being repainted.